* Click here for full and most recent T&C's of Oranje Casino. Claim €100 bonus + 250 free spins! With Oranje Casino, we have another great online casino to review. Oranje Casino is a European casino and got a license from Malta. You do not need to look very hard to discover an orange lion in it, holding a casino chip. The casino is renowned for its attractive 100% welcome bonus and free spins for new players. Its reliability and the large selection in the live casino are additional assets that the gambling company uses to put itself on the map. Oranje Casino is definitely one to watch. Sometimes it is simply the best thing to join forces. And this is a well-known fact at Oranje Casino. The online casino was founded in 2004, but joined the Swedish Betsson Group ten years later. Because of this, Oranje Casino can fall back on the knowledge and experience of one of the world’s largest gambling companies. This instills confidence. Just like almost all internationally operating gambling companies, Oranje Casino is based on Malta. The company is in possession of an official license of the Malta Gaming Authority. With this license, you can rest assured knowing that you are gambling in a safe environment. As such, you can fully focus on all of the fun games that can be found in the casino. The collaboration with the Betsson Group led to Oranje Casino having the best software on the market. All known game developers are therefore included. As such, you can play games of NetEnt, Microgaming, Nextgen, Stakelogic and Thunderkick, amongst others. You can choose between more than 500 different slot machines and video slots. This includes a number of real classics. What to think about fruit machines such as Random Runner, Simply Wild and Mystery Joker? If you prefer more of a spectacle, you obviously opt for the flashy graphics of the video slots. Mega Moolah, Mega Fortune, Hall of Gods, Arabian Nights, Gold Rush and Dazzling Diamonds: a real enthusiast will recognize the names. A number of these games work with a progressive jackpot. The total amount of money that can be won will therefore increase rapidly. You might already be happy with a couple of thousand euros, but for games such as Mega Moolah, hundreds of thousands or even millions of euros are at stake. As a little extra, Oranje Casino will select a number of slot machines that allow you to compete for the daily jackpot. You know that it will fall, although not exactly when. Undoubtedly, you will be intently staring at the screen once you put the game in operation. A good casino obviously has more to offer than just slot machines and video slots. Oranje Casino has a fine selection when it comes to table games. They host multiple versions of the famous blackjack, roulette and poker games. This way, you can alternate between Caribbean Poker, Alphabet Roulette or Three Hand Blackjack with Texas Hold’em Poker, Super Wheel Roulette or Perfect Pairs Blackjack. Technically, you have more than enough choice when gambling at Oranje Casino. Yet there are a number of game categories that are underrepresented or even missing altogether. The selection of bingo games is rather disappointing, and for now, there is no sportsbook available. Question is whether you will actually miss these kind of gambling games. Whoever is looking for that true casino feeling, can find this in the live casino. Oranje Casino has almost thirty different tables, some of which are available 24 hours per day. We can state with certainty that the live casino is one of the big advantages. And it is not just the large selection, there are also a number of surprising names. Just try your hand at a game of speed baccarat or speed roulette. For these games, you have to make quick decisions, so tensions are mounting right away. Another remarkable name is Common Draw Blackjack. With this, everyone starts with the same hand of cards so that each player has the same odds of winning. Do you prefer the classic table games? Of course you can also find the standard versions of roulette, poker, blackjack and baccarat. All of these games in the live casino are led by friendly dealers. If you have a question, you can simply chat with them. For this, you do not need a lot of fantasy to feel like you truly are in the casino. Once you visit the website of Oranje Casino, you are warmly welcomed with the text ‘Welcome to Oranje Casino, where your casino experience begins’ right away. From the homepage, you can easily navigate to the slot machines in the online casino or the table games of the live casino. Everything works fast and the games are well-organized. And thanks to the search function, you could navigate to your favorite casino game right away. If we have to mention one point of improvement, it would be the website design. It comes across as slightly dated, which does not instantly give the impression of being a contemporary online casino. It is a shame. In the designing of the website, an attempt was made to include orange looks with the lion as symbol. As such, you are surrounded by the colors blue and orange when browsing through the various pages. With the dated website of Oranje Casino, it comes as no surprise that there is no separate app present. Although you can make use of the mobile website when you want to play on your smartphone or tablet. Generally, this mobile site works just fine and you can do anything on it that you can also do on the regular website. Depositing money, playing games in the (live) casino and chatting with the customer service: it is no problem at all. Do the games and the website of Oranje Casino look appealing to you? Then it is high time to create an account and make a first deposit. The first deposit will instantly deliver you a nice bonus. The casino will reward you with a 100% welcome bonus with a maximum value of € 100,-. Besides, you will receive 250 free spins for the game Blood Suckers II. The first impression of Oranje Casino will therefore be positive. Alongside these welcome bonuses, there are recurring temporary promotions. Perhaps you will win a trip to Florida, if you bet a minimum of € 200,- on a NetEnt game on one day. Or celebrate King’s Day with Oranje Casino and have a shot at free playing credits. There are plenty of online casinos out there with a better promotions page, yet Oranje Casino occasionally hosts rather interesting bonus promotions. So keep a close eye on the bonus page! Once you walk into a casino, you usually make your way to the cage right away. This is where you have to be in order to exchange your money for chips, that you can use to take a seat at the roulette or blackjack table. 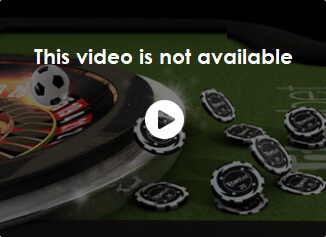 This is no different for an online casino. You deposit money in your players account, after which that money is converted to the online version of the ancient casino chips – so that you can get started right away. At Oranje Casino, you can deposit money in your account through all of the known means. As such, the company accepts payments via credit card (VISA and MasterCard), Paysafecard and the popular e-wallets Skrill and Neteller. Especially for European players, there is a possibility of paying via Trustly. For all of these payment methods, a minimum deposit of € 10,- applies. Do you want to qualify for the 100% welcome bonus? Then be aware that deposits made through Skrill and Neteller do not count. Once there is enough money in your players account, you are ready for the real work. Find a slot machine or get ready to shine at the roulette table. For all of these games, you determine your own bet. The height of the minimum and maximum bet is different for each casino. As such, you can always find an exciting game that matches your gambling budget. Managing money is an important part of online gambling. After all, you need sufficient credits in order to play a game in which you can make a profit. And the more games you play, the higher the total profits will (hopefully) be. You will eventually reach a point where you would like to request a payout of the profits. At Oranje Casino, this can already be done from € 20,-. Payouts to a Skrill- or Neteller account are processed within 24 hours. The same applies when opting for a payout to your credit card. Are you looking to have your profits deposited in your bank account right away? In that case, it will take two to five working days before you can access the winnings. With this, Oranje Casino roughly employs the same period as other well-known casinos. First and foremost, you obviously gamble for fun. Besides, you are hoping to win money, preferably a lot of it. But wouldn’t it be nice to be able to share the euphoria of winning with a charity? This is possible at Oranje Casino. The European online casino has set up some sort of loyalty program that allows you to save comps bonus points. You automatically save points when playing a game in the casino. There are two ways for you to spend these bonus points: you can reward yourself with some extra euros and gift a part to charity. Or you give everything to Free a Girl or the Royal Rescue Aid Society. These are the two charities that you can support on Oranje Casino. For each 100 comps bonus points in your account, Oranje Casino will reward you with 1 euro. You can play for as long as you want. So if you play a lot of casino games, this amount can get pretty high. Of all the saved euros, you can have half deposited in your own account. Although this can only be done after you first donate the other half to charity. With this, Oranje Casino has created a unique system that, as far as we are concerned, should be employed by more gambling companies. Do you need the help of the Oranje Casino customer service? Oranje Casino scores points with its loyalty program. In order to become a loyal casino player, you require the support of a good customer service. Oranje Casino definitely does not disappoint in this aspect. There is a decent FAQ-page, and all other questions can be asked via chat or email ([email protected]). Do you prefer to really talk to someone? Then you can always dial the available phone number (00356 – 22603931). Note that you are calling to Malta, so there will be extra costs associated with it. The customer service employees of Oranje Casino are professional and able to answer all questions fast and politely. There is one small drawback: the customer service is not available 24/7. Between 9.00 in the morning and midnight, employees will be waiting to help you with all of your questions. This goes for both weekdays as well as weekends. The chat unfortunately only opens at 11 o’clock, so you are better off waiting a while with all questions you might have in the early hours. A review might give you an idea of what to expect from a casino. No matter how good the games and promotions are, it is most important that the casino of your choice suits you. You have to enjoy the games, be able to easily find your way on the website and trust the services of the gambling company. Luckily you have plenty of opportunity to casually try out Oranje Casino. The casino games are available for anyone, even if you do not have an account yet. You can try out the various slot machines and video slots to your heart’s content in order to find out if they are the right fit for you. Do you prefer the classic table games, such as roulette, poker or blackjack? The live casino is the only part that is not opened for players without account or with insufficient credits. Everything else on the website, including all the games, can be explored in your own time, so that you can find out for yourself whether or not Oranje Casino has enough to offer. Oranje Casino existed since 2004 and joined the Swedish Betsson Group ten years later. Oranje Casino is known for its excellent live casino and also offers a wide range of other casino games. New players at Oranje Casino receive an attractive welcome bonus and many free spins. This certainly makes it interesting to take a look and play at Oranje Casino! This is one of my favorite online casinos. I had claimed the bonus at Oranje Casino and played it free relatively easily. I paid the total amount immediately and had the money in my bank account within two days. Also the many free spins you receive as new player are a much appreciated! Bonus has to be wagered 15x within 90 days before the bonus can be released and paid out.